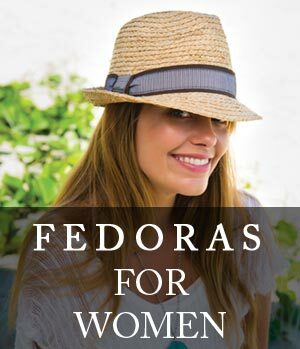 The Jeanne Simmons large brim fedora is a stylish twist on an old classic. 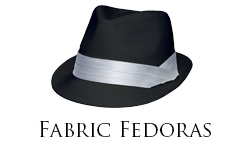 Fedora's are timeless, and this soft wool felt adaptation features a longer brim as well as great color. The rich dark purple tone of this hat is truly one of a kind! 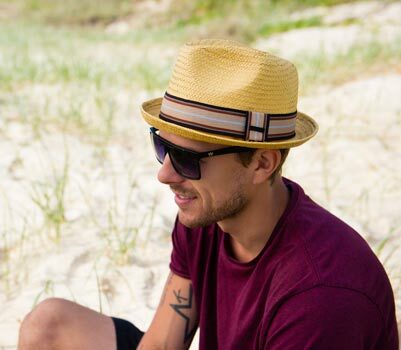 Sun 'N' Sand - Ian Fine Raffia Fedora Hat Brim 3.25" Crown 3.5" Front 4.25" Side Features Size This hat fits is sized to 21" and does have an adjustable band that will stretch to 22"
The Sun 'N' Sand - Sophie Fine Raffia Snap Brim Fedora Hat Brim 2" Crown 4" Front 4.5" Side Features Size This hat fits is sized to 21" and does have an adjustable band that will size to 22"
The Fedora hat is one of the most popular styles sold at our stores today. Originating shortly before the turn of the 20th Century, this iconic hat has seen a few rises and falls in popularity. 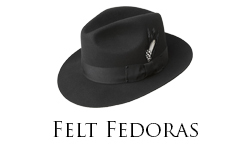 The fedora became mainstream and iconicly tied to gangsters in the era of prohibition from the 1920's through the early 1950's and eventually receded as the 60's took on. 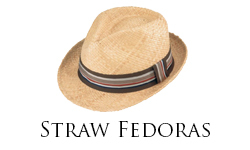 It made a serious return when Harrison Ford wore it onscreen in the Indiana Jones series and more recently as musicians and celebrities like Jason Mraz and Charlie Sheen have been seen sporting them around. 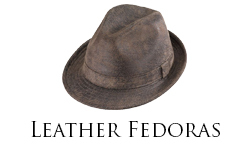 Originally made of fur felt and limited to basic colors like black, brown, and grey, fedoras now come in a wide variety of materials, patterns, and colors. Additionally there are a wide variety of crown styles and brim sizes such as the center-dent, teardrop, diamond, and stingy brims. 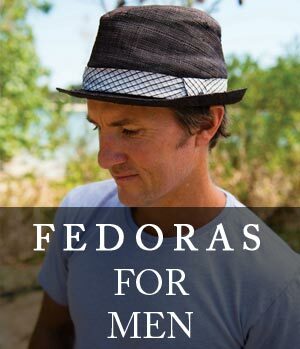 Whatever your taste is, here at Hats Unlimited we are committed to providing a variety of fedoras for you to choose from.